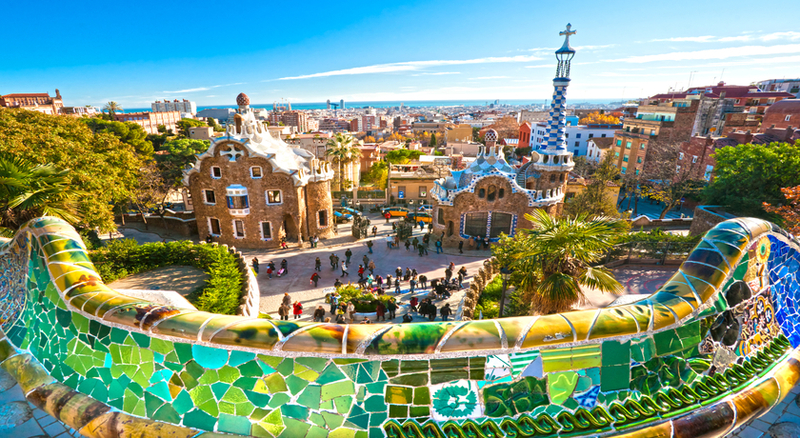 This 4-night mini-break to Spain and Portugal is perfect for those who are looking to swap the cold winter of Blighty for a spot of European sunshine. 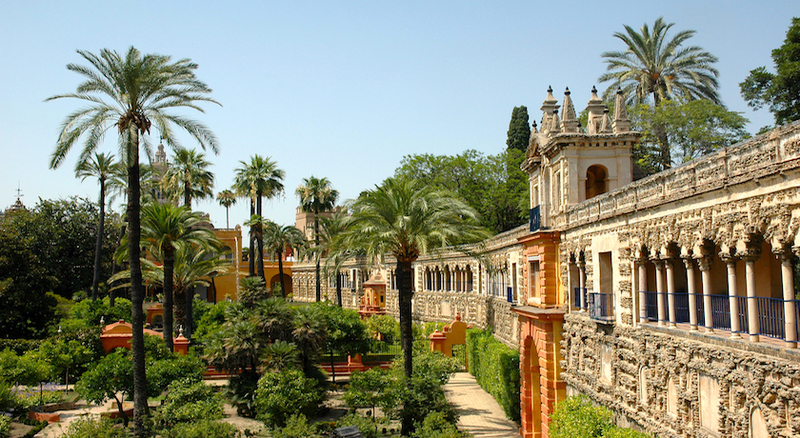 Spend 2 nights in spectacular Seville, discovering historic treasures such as the Alcazar Castle complex, before heading to Faro for 48 hours where sunbathing and beach-hopping are par for the course! 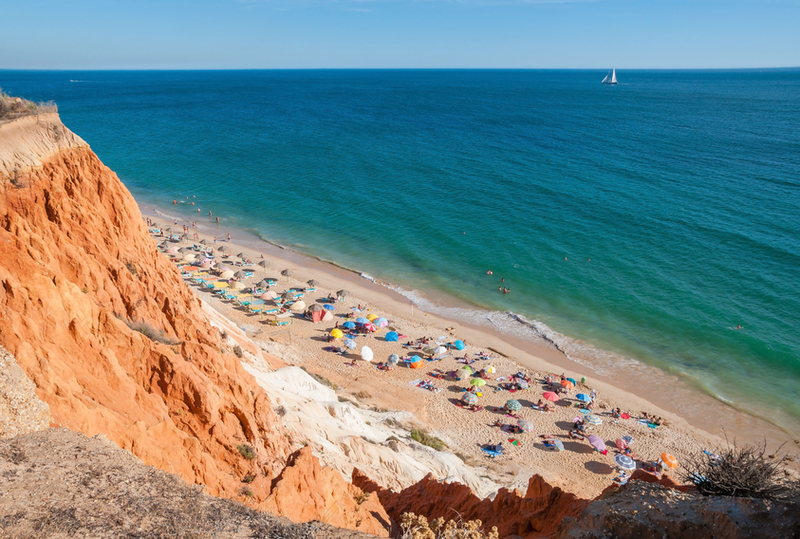 This 4-night mini-break to Spain and Portugal is perfect for those who are looking to swap the cold winter of Blighty for a spot of European sunshine. 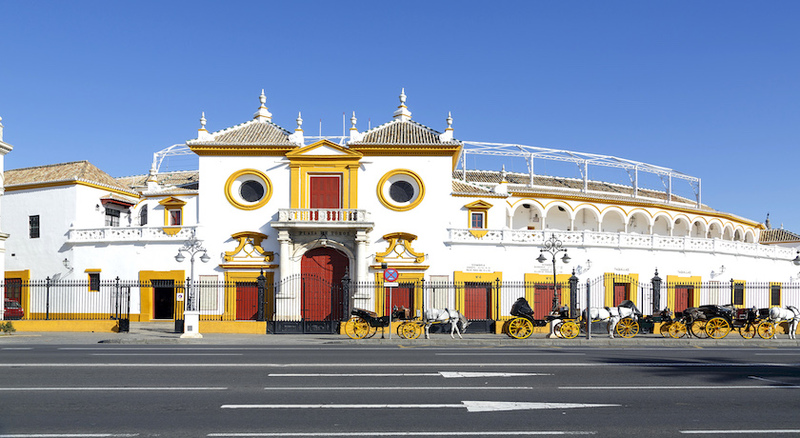 Spend 2 nights in spectacular Seville, discovering historic treasures such as the Alcazar Castle complex, before heading to Faro for 48 hours where sunbathing and beach-hopping are par for the course. 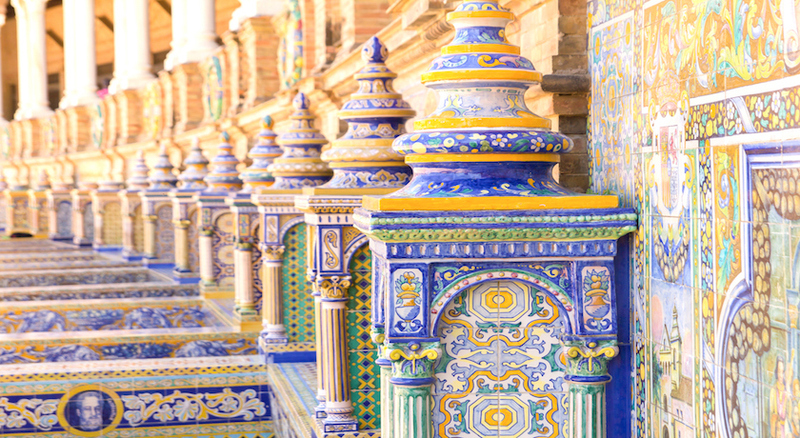 As the capital of Spain’s Andalusia region, Seville offers a beautiful hodgepodge of flamenco dancing, historic castles and postcard-worthy landmarks. 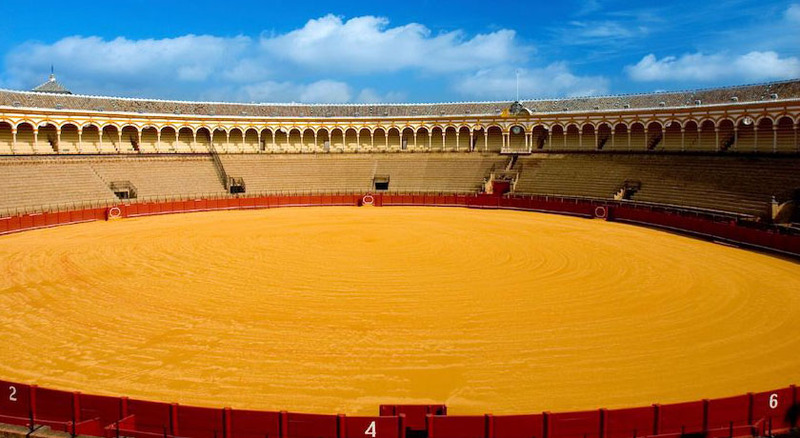 Discover the ornate Alcazar Castle complex, echoing the artistic style present during the Moorish Almohad dynasty, before feasting your eyes on the 18th century Plaza de Toros de la Maestranza bullring. 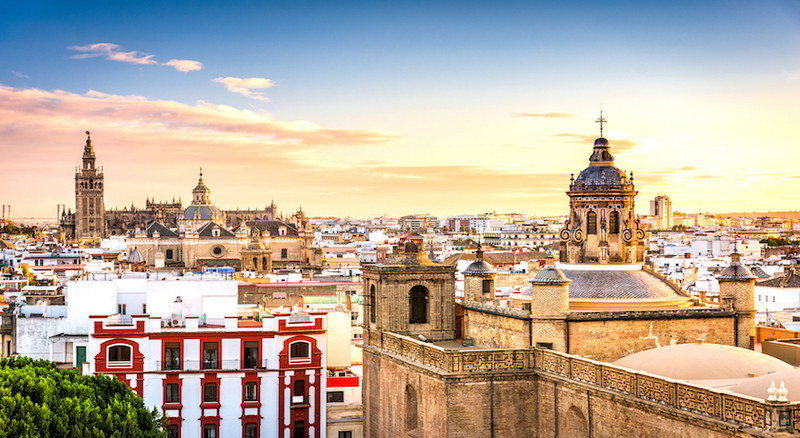 Tour the dazzling Gothic Seville Cathedral, the site of Columbus’ tomb, and then head to la Giralda, the striking bell tower which bulges against Seville’s sun-dappled horizon. 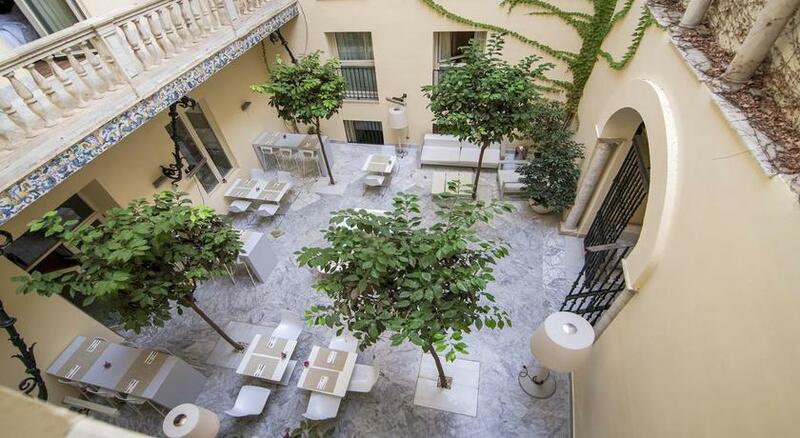 Days spent discovering Seville’s charm will turn into nights spent at the Petit Palace Santa Cruz hotel – the perfect place for a romantic getaway or family vacation. 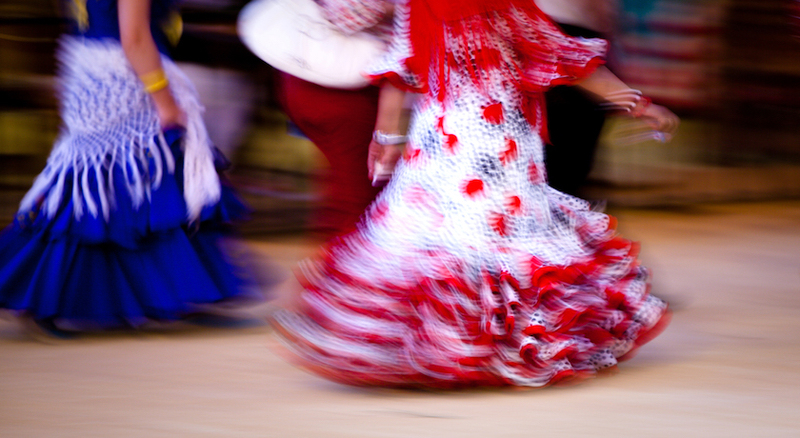 Combining modernity with tradition, the hotel is a stone’s throw from la Giralda, the Royal Alcazar and Maria Luisa Park. 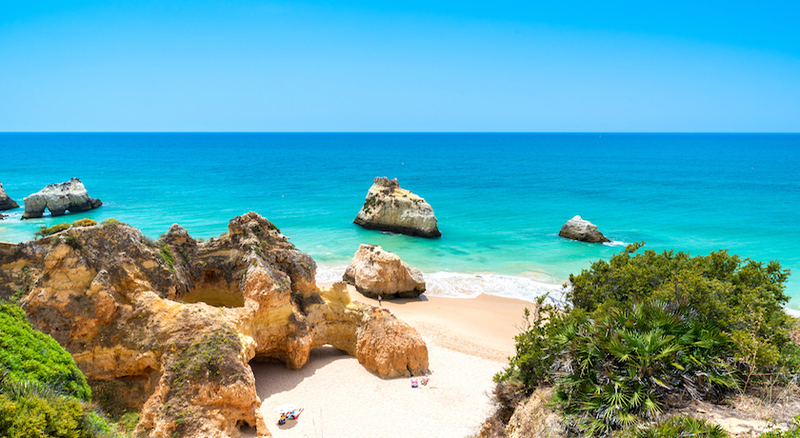 After two nights spent in Seville, we’ll whisk you off to Faro, Portugal, the capital of the Algarve region and boasting sandy shores as far as the eye can see. 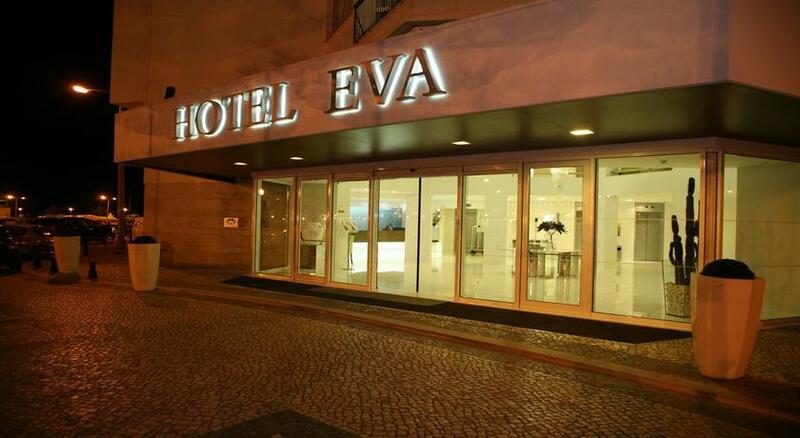 You’ll stay at the Eva Hotel, a 4* establishment placed in a 5-story historic building. 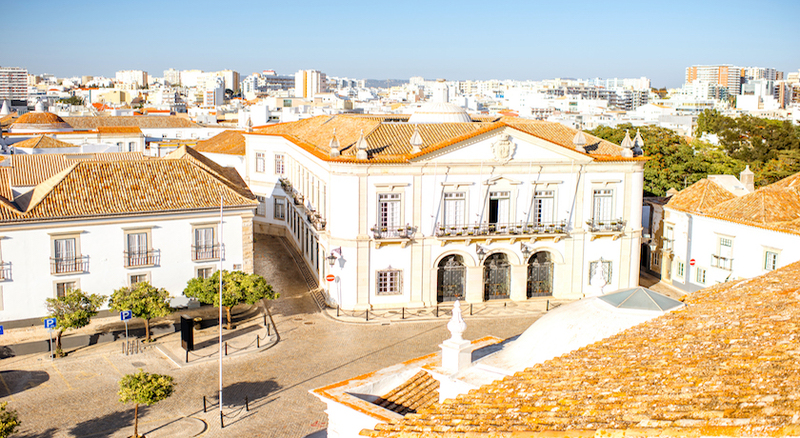 Just a five minutes’ walk to Faro train station and a ten minutes’ walk to the city centre, its close proximity to all the hotspots makes the Eva Hotel a great starting point for sightseeing. 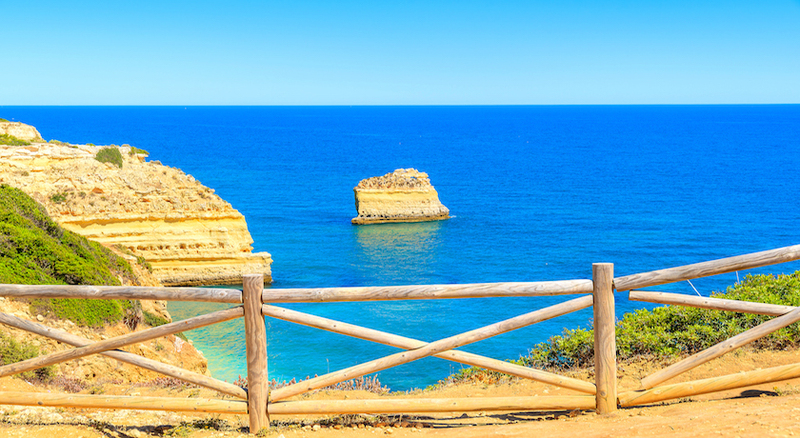 Faro itself is a beautiful tapestry of turquoise beaches and sun-kissed city landscapes. 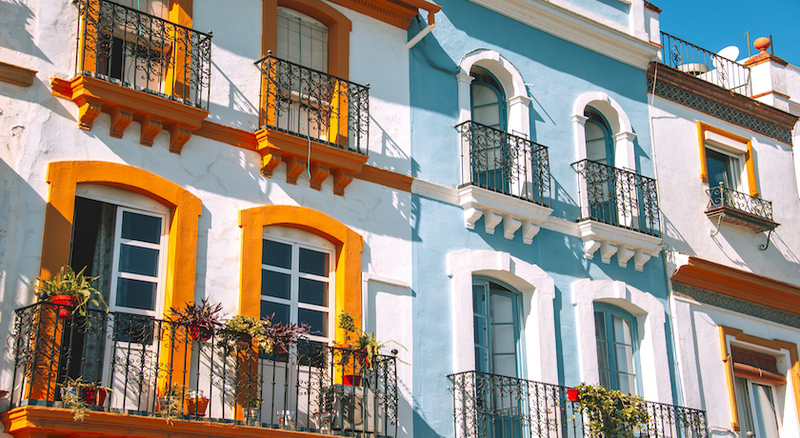 Gaze up at the Arco da Vila, a monumental archway leading to the old town and built on land that once occupied an original Moorish wall. 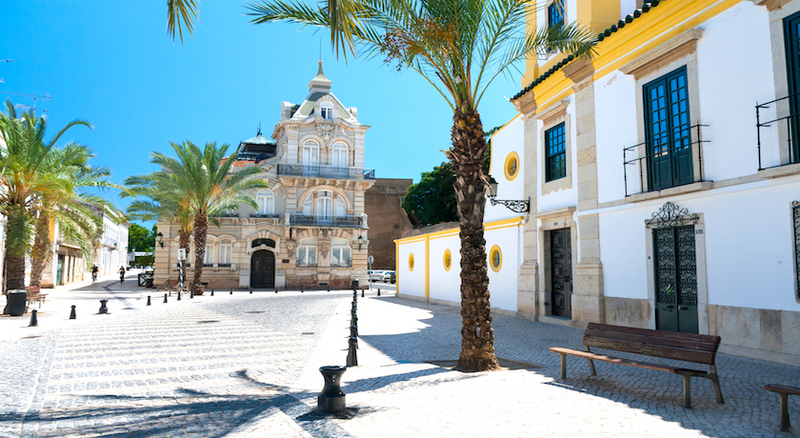 Feast your eyes on Faro Cathedral, erected in the 13th century and an absolute treat to behold, before making your way to the Municipal Museum, located in a 16th century convent and displaying all sorts of medieval artefacts which will make history buffs swoon. 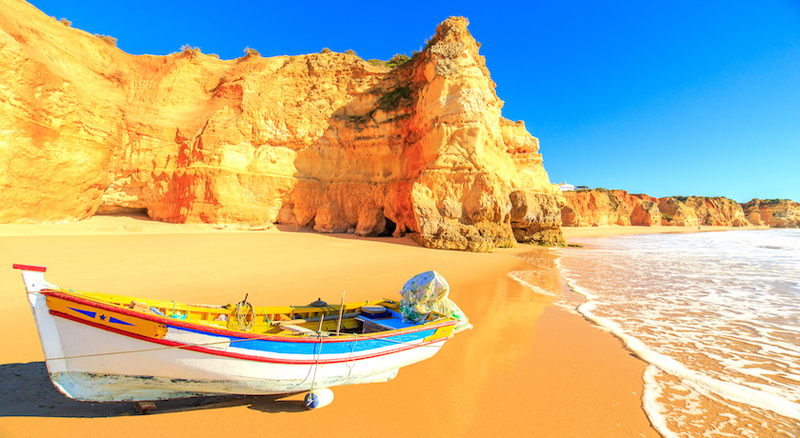 Get ready for picture-perfect Portuguese beaches and historic Spanish treasures! 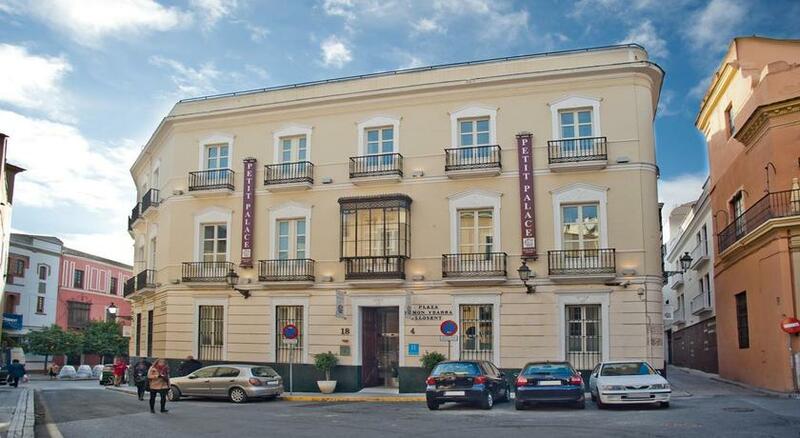 The Hotel Petit Palace Santa Cruz is unique and combines modernity with tradition. 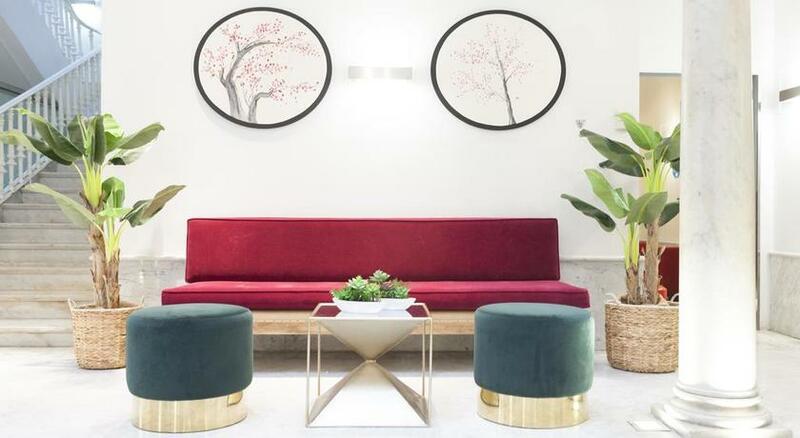 Housed in a historic building in the centre of Seville and converted into a state-of-the-art hotel, it’s the perfect place to stay for a romantic getaway or a family trip to the heart of the Santa Cruz district. 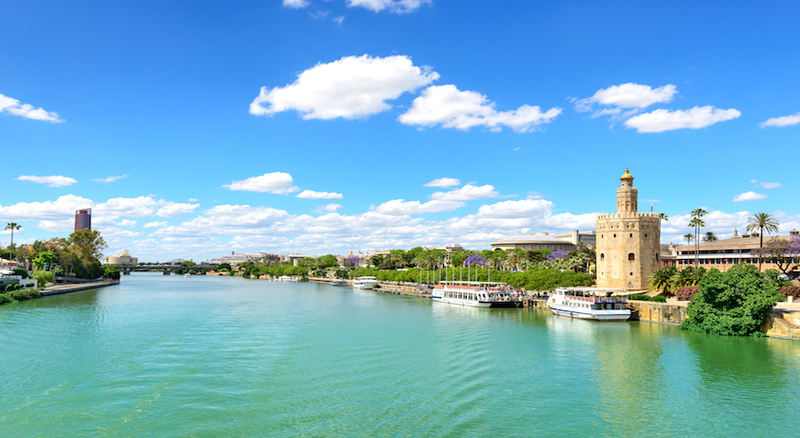 Stay within a few feet of the Giralda, the Royal Alcázar of Seville or the Maria Luisa Park, and close to the shopping district. 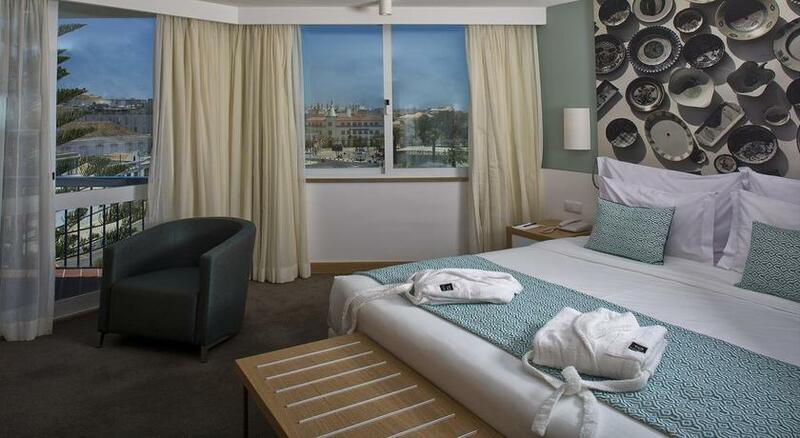 Its stylish rooms are equipped with all desirable comforts. 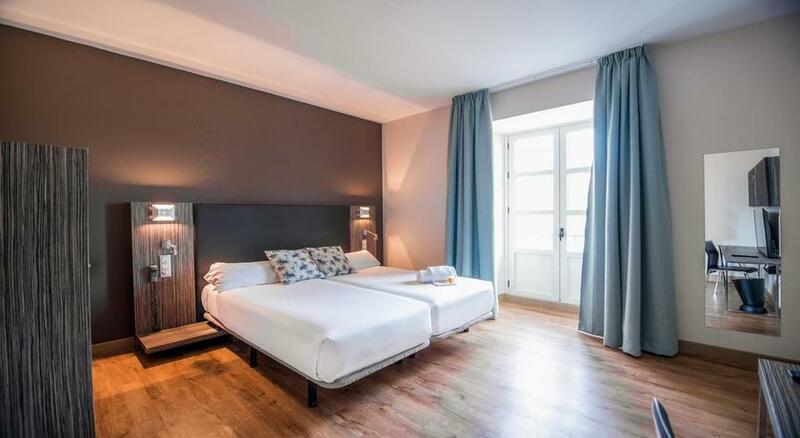 All air-conditioned rooms at the Petit Palace have a flat-screen TV with satellite channels. The modern bathroom comes with a hairdryer. 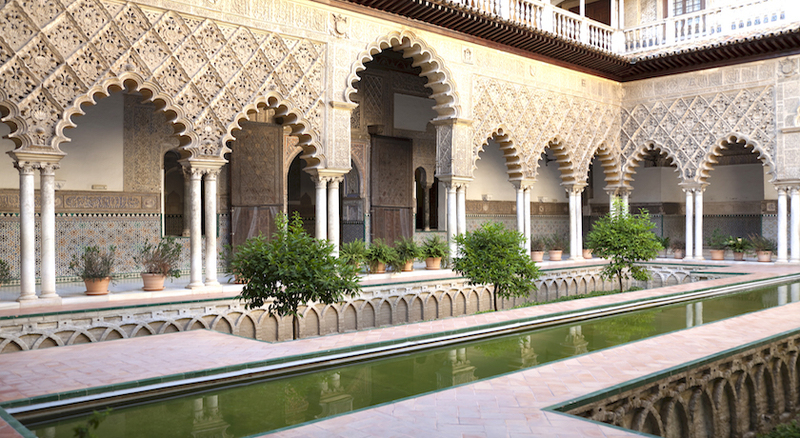 A delicious breakfast buffet is offered and the courtyard invites to spend relaxing moments. There is also an open bar located in the hall, an Internet corner and a meeting room. 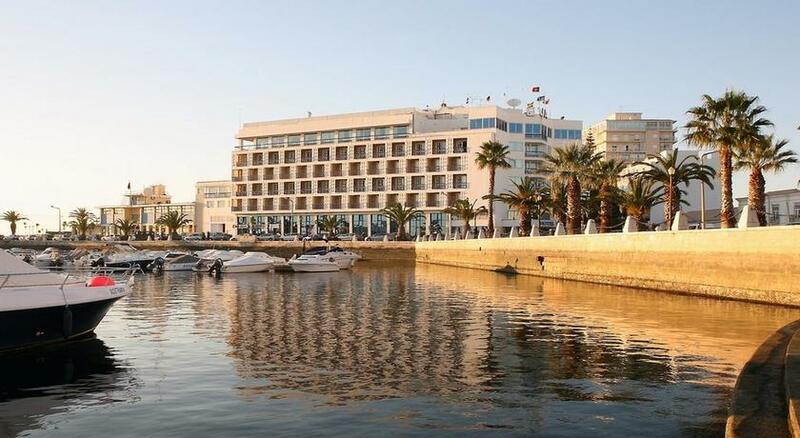 Eva Hotel is a 4-star property providing a superior accommodation. 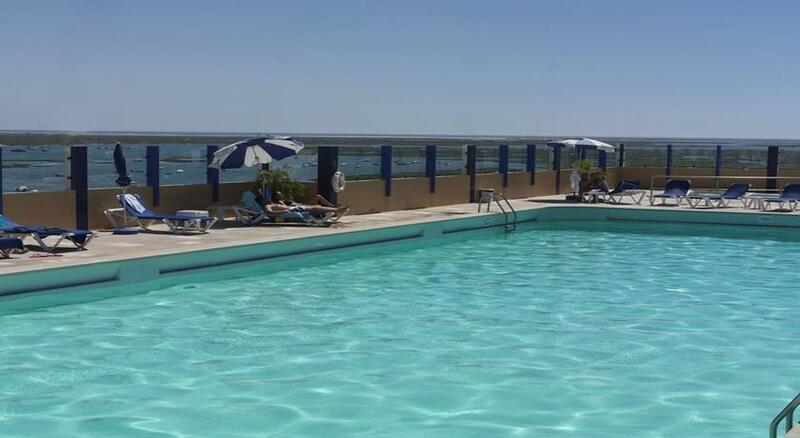 A panoramic setting within 5 minutes' walk of Faro train station offers fast access to Faro Beach, which is 6 km away. 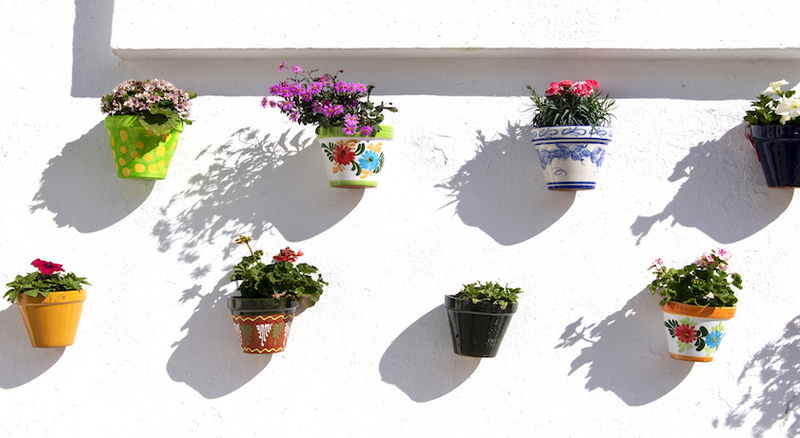 Set within a 10-minute walking distance from Faro city center. 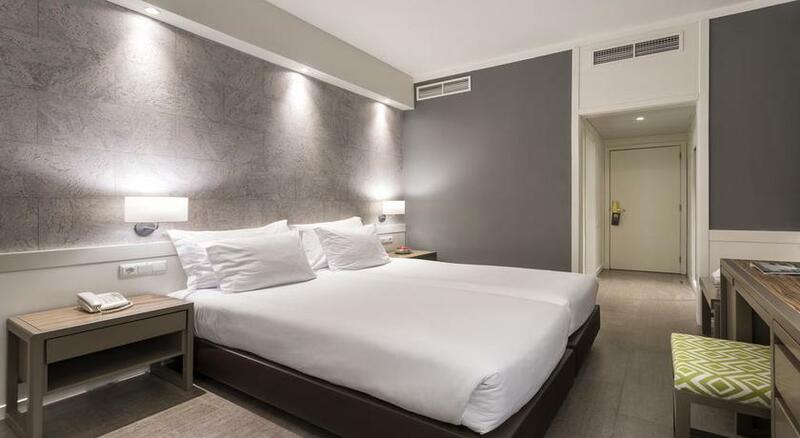 Guests are offered 134 soundproof hotel rooms equipped with free Wi-Fi, an in-room safe, a mini bar, a heating system and a sitting area. 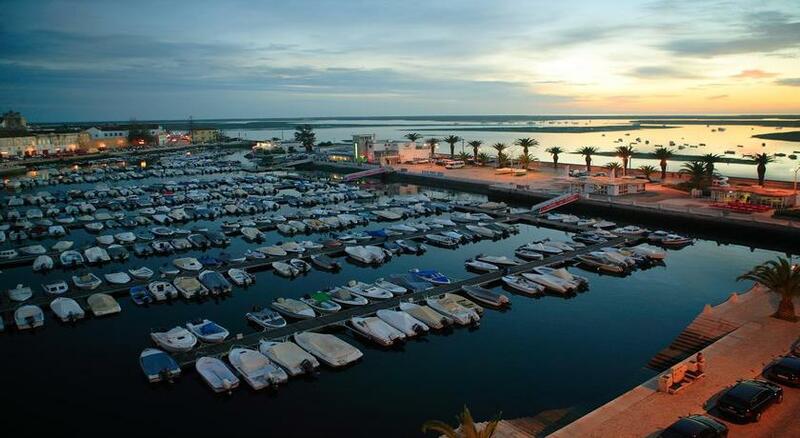 Some rooms have the harbor view. 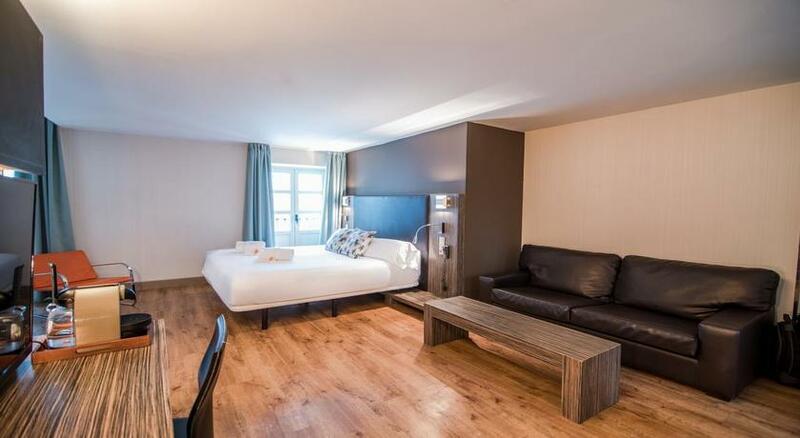 These rooms feature large bathrooms complete with a shower, a hairdryer and guest toiletries. 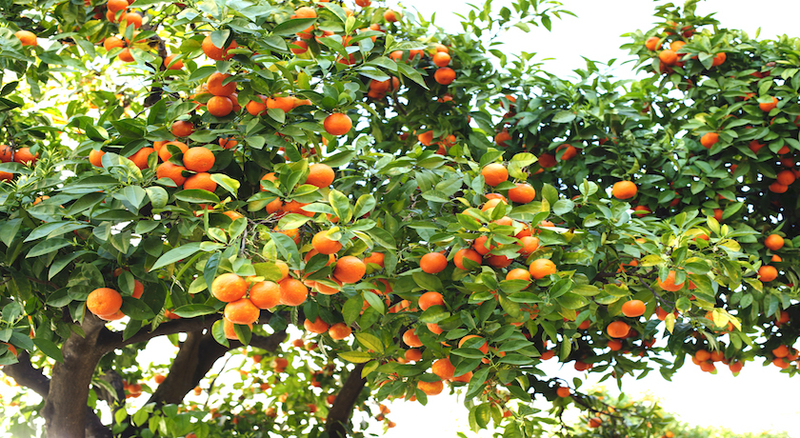 Breakfast is served in the lobby each morning. 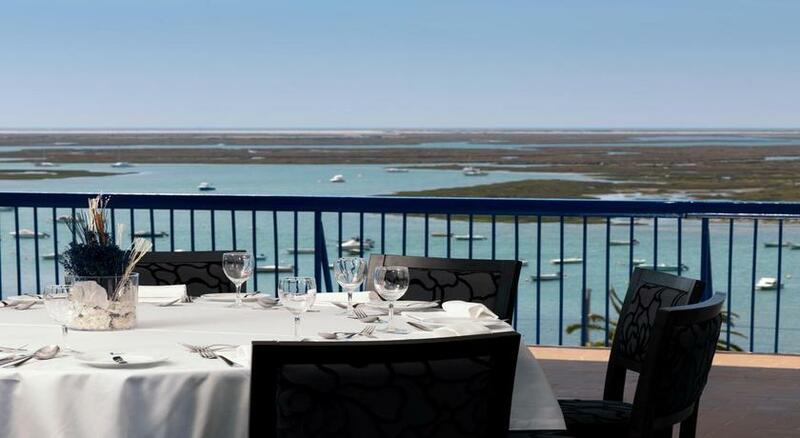 Guests will enjoy special dishes of local cuisine in the fantastic on-site restaurant. 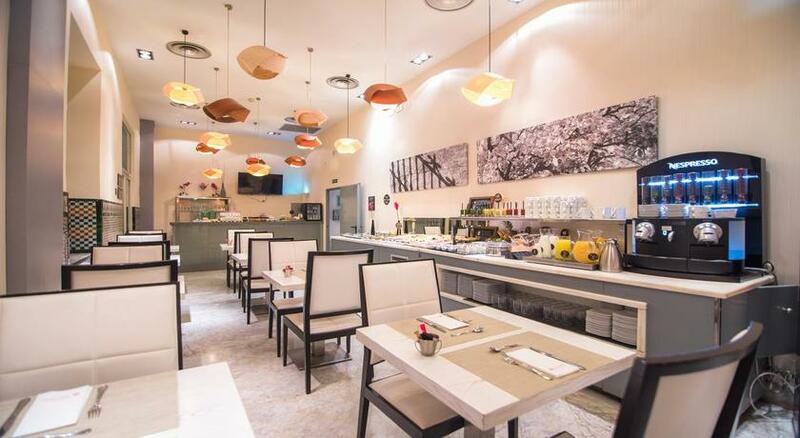 Coffee and cocktails are offered in the café bar. 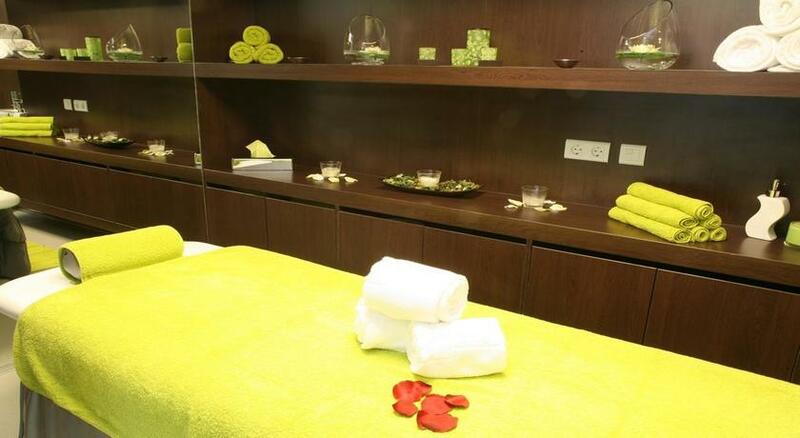 On-site spa options feature a wellness centre, a solarium and a sauna. 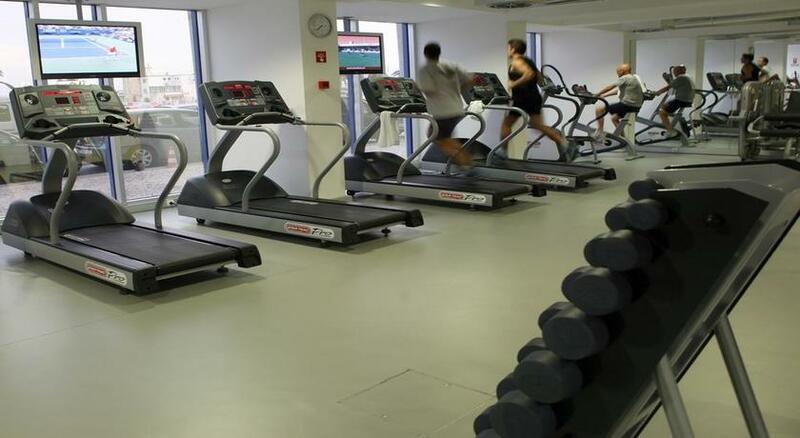 Active guests will benefit from a gym, aerobics classes and a fitness centre available on the premises.